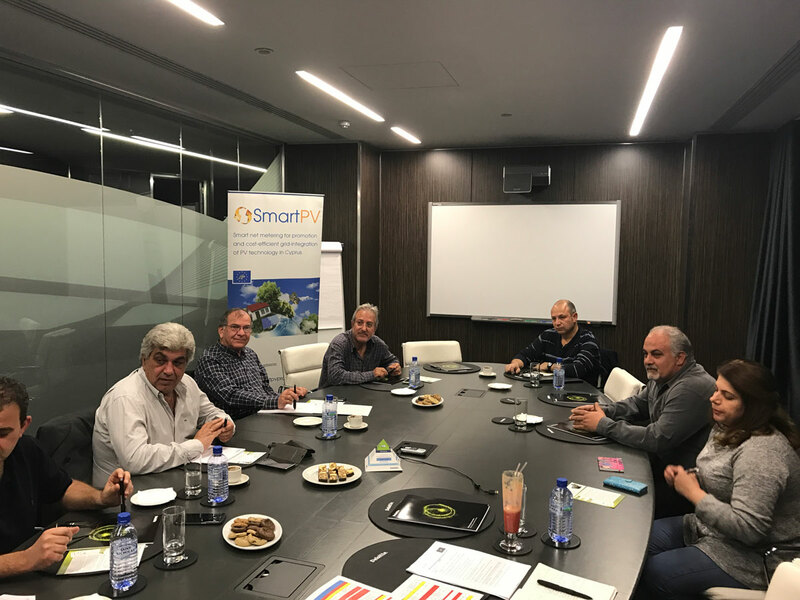 Το πρόγραμμα SmartPV του Eργαστηρίου Φωτοβολταϊκής Τεχνολογίας της Ερευνητικής Μονάδας Ενεργειακής Αειφορίας ΦΩΣ του Πανεπιστημίου Κύπρου, είναι υποψήφιο για τα Eυρωπαϊκά Bραβεία LIFE 2019 στην κατηγορία "Δράση για το Κλίμα"! Αφιερώστε ένα λεπτό από το χρόνο σας και ψηφίστε για την Κύπρο! 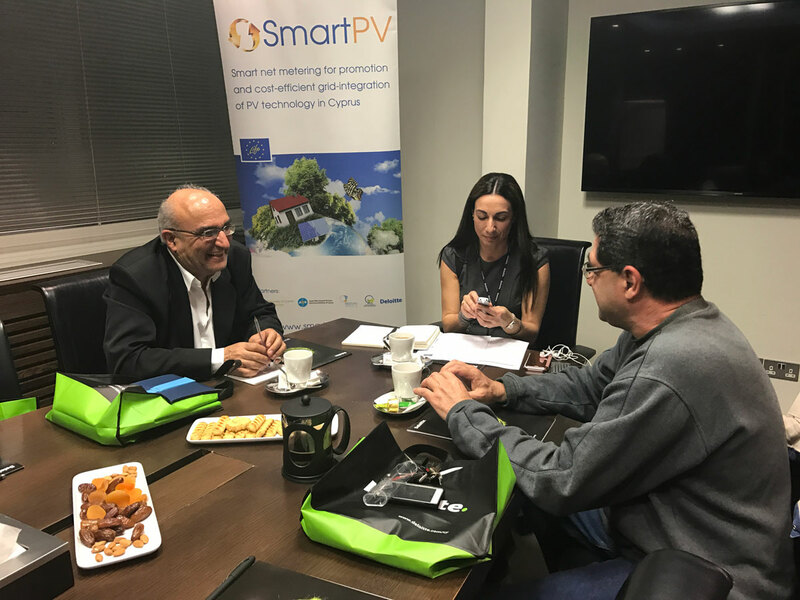 Ψηφίστε & στηρίξτε το έργο SmartPV! Photovoltaic (PV) Technology Laboratory and FOSS Research Centre for Sustainable Energy of the University of Cyprus are proud to announce that the SmartPV project has been selected as one of the 9 finalists for LIFE Awards 2019 in the category “Climate Action”! Please vote for us and support Cyprus! It only takes one minute of your time! 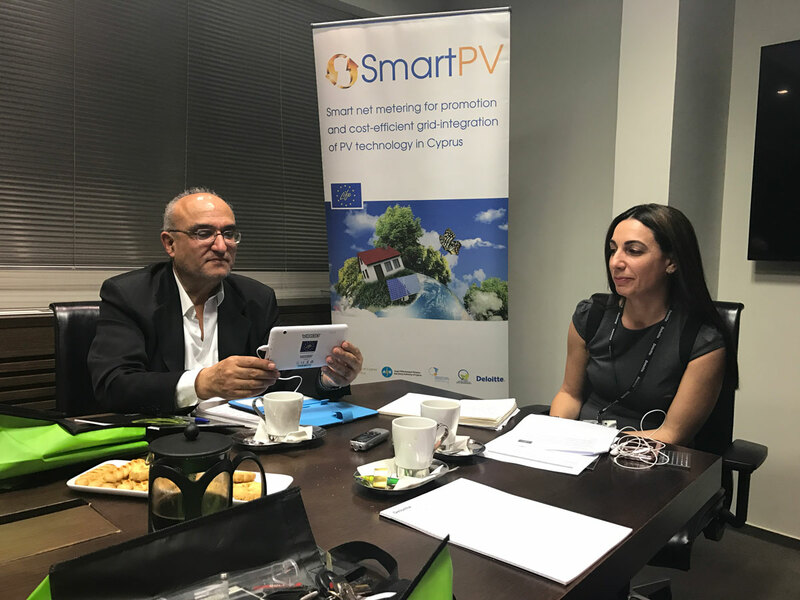 Το έργο SmartPV διοργανώνει ημερίδα για εορτασμό των 25 χρόνων του ευρωπαϊκού προγράμματος LIFE με θέμα τις νέες τεχνολογίες προς υποστήριξη των φωτοβολταϊκών συστημάτων. Επισυνάπτεται η ημερήσια διάταξη της ημερίδας. 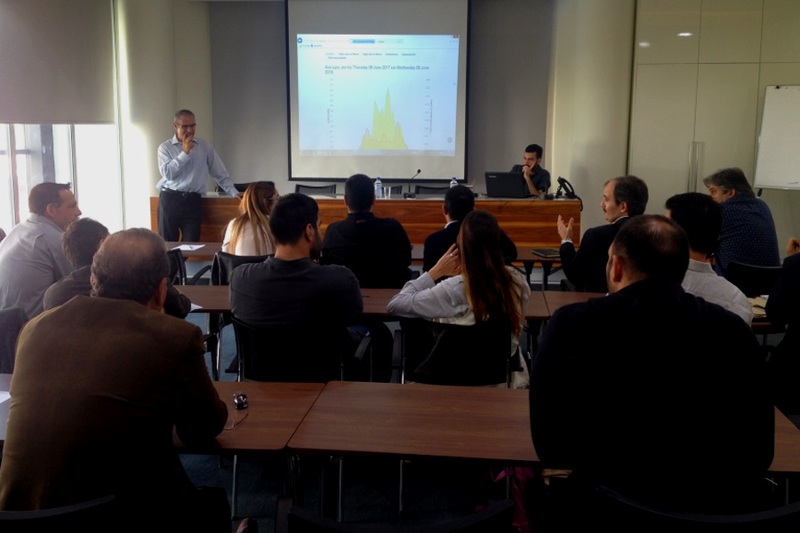 Focus groups among Prosumers participating in the pilot demonstrations were organised by Deloitte in the context of the Project SmartPV in Nicosia and Limassol between 23-28 February 2017 to research more in-depth the perceptions, attitudes and opinions of the consumers with smart meters in their households. Download the Presentation "Εργαστήρι για «Ευφυή συστήματα συμψηφισμού»"
Download the Presentation "Σύντομη Ανασκόπηση και Επόμενα Βήματα"
Τhe 12th Energy Saving Exhibition «SAVENERGY 2016» took place at the Cyprus International Fair grounds (EXPO) in Nicosia between the 30th of September and the 2nd of October 2016. 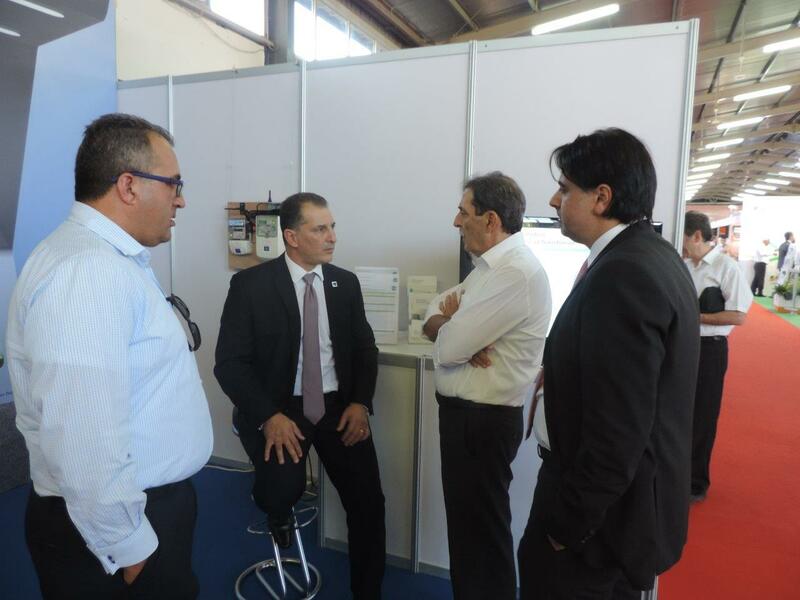 The SAVENERGY Exhibition is organised by the Cyprus Employers & Industrialists Federation in cooperation with the Cyprus Ministry of Commerce, Industry and Tourism and the Electricity Authority of Cyprus. These Exhibitions have been established as the most important trade event in Cyprus which deals with the promotion of products and services that save energy, exploit renewable energy sources and protect the environment or save / improve water quality and help reduce the environmental burden and optimal use of water resources. The «SAVENERGY» exhibition is considered amongst Cyprus’ best exhibitions and thus apart from the publicity given by the organisers it is well covered by the local mass media. It is worth mentioning that SAVENERGY 2015 was visited by more than 25.000 trade visitors and consumers. 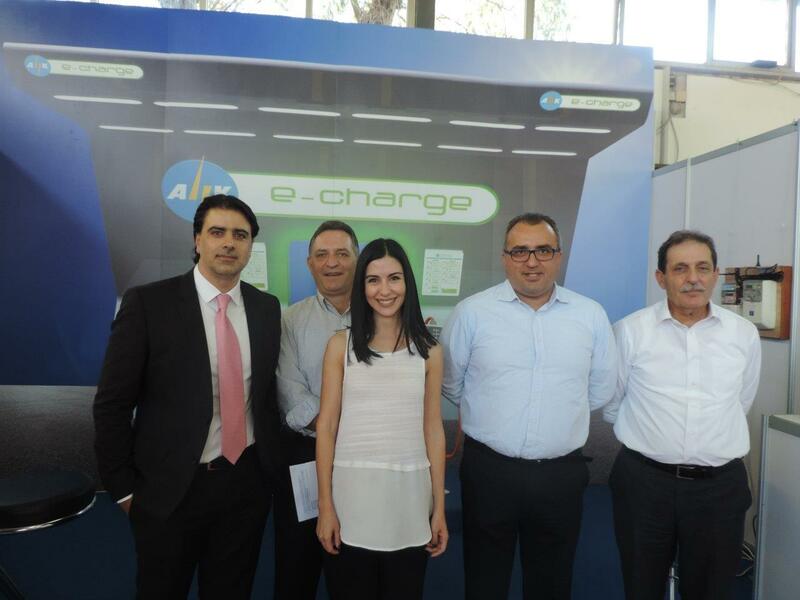 Μore than 90% of the « SAVENERGY 2015 » exhibitors stated that the exhibition was a great success, while 95% of them stated that they will surely participate at « SAVENERGY 2016 ». None of the exhibitors had negative comments about the exhibition. EAC’s pavilion has presented, among others, innovative projects of promoting RES and energy saving. One of them was SmartPV for which flyers and newsletters were distributed to the visitors. Two presentations were held, one for SmartPV Project and one for Smart Metering and metering data management. The second presentation included a video demonstration of Meridian, the metering data acquisition and management system of SmartPV. Also, Elster’s smart meters AS230 and A1700, which have been pilot installed with SmartPV, were also exhibited at the pavilion.